All homes currently listed for sale in the zip code 90018 as of 04/18/2019 are shown below. You can change the search criteria at any time by pressing the 'Change Search' button below. "Be a part of Los Angeles history. The magnificent Wesley W. Beckett Mansion, Los Angeles City historical cultural monument #117, is now available. Designed by architect John C. Austin (Los Angeles City Hall, The Shrine Auditorium, and Griffith Observatory) for Dr. Beckett, a USC Board of Trustees member at the time, the home was built in 1910 in the wonderful West Adams Heights/Sugar Hill District. This neoclassical revival beauty boasts 6 bedrooms & 4 bathrooms within 5415sf & sits on 23,558sf of very usable land. The main home is 2 stories with an amazing basement living area and full stand up attic area. You have likely seen this home & enjoyed its amazing architecture without even knowing it. This home has been featured in countless articles, music videos, commercials, tv productions, movie productions, & on site events - the Chainsmokers Paris video, Robert Plant & Alison Krauss Please Read the Letter video, Criminal Minds, & Twentieth Century Women with Annette Bening." "Historic West Adams Terrace is a quiet neighborhood just south of Hancock Park, bounded by Leimert Park, with a Metro Expo light rail station nearby. On the hills rising west of Western Avenue, this exclusive enclave began as one of the city's wealthiest neighborhoods, and one by one these magnificent homes and historic landmarks are being restored to their turn-of-the-century glory. Designer Marion Wesson brings her expert eye to this timeless classic, preserving original details, introducing new finishes, and updating the floor plan to contemporary standards. Vaulted ceilings, decorative plaster walls, fireplace surround, and hand-carved mahogany celebrate the past, while quartz counters, en-caustic tile, artisanal light fixtures, and high-end stainless appliances align with the present. And with all new wood windows, electrical, plumbing, HVAC, and roof, this home is well prepared for the future. Mills Act eligible, which can provide substantial tax savings for the new owner." "Craftsman Home- 2 Story at Jefferson Park near schools. Property features: Living room , dining Room, office room , custom made wood ceiling , 3 bedrooms Upstairs with 2 baths, Good size back yard and detached Guest House with 2bedrooms and 1bath ." "Marvelous Modern Spanish in the heart of Jefferson Park. Stunning 3 BD, 2 BA home situated on expansive lot with oversized newly built ADU. Enter into a sun-drenched open concept living space with bright white walls, wide plank oak flooring, wood beams, and curated fixtures, adding charming character to the space. The kitchen boasts Carrara marble counters, black appliances, and a grand island w/ leather hardware. Two spacious bedrooms, one with 14' vaulted ceilings, can be found towards the front of the home. An exquisite master suite features a large walk-in closet and sophisticated bathroom with polished nickel detail, double vanity and soaking tub! Enjoy outdoor time with family and friends or get your gardening on in the huge grassy yard + terracotta tiled patio area. Huge ADU with polished concrete floors provides wonderful income potential or additional live/work space to the property. You won't want to miss the chance to call this special home your own! Main: 1769 ADU 537." "Standard sale, two story home. Distance to Downtown 10 minutes, Distance to USC 10 Minutes. Has awesome 2nd floor has nice patio. There is in the record as 6 bedroom, 3 bathroom but it has 8 bedroom, 5 1/2 bathroom. Nice layout as all bedrooms.Must see to appreciate. This property is Sold in As-Is Condition. It is in Los Angeles' Historic Preservation Overlay Zones (HPOZs)." 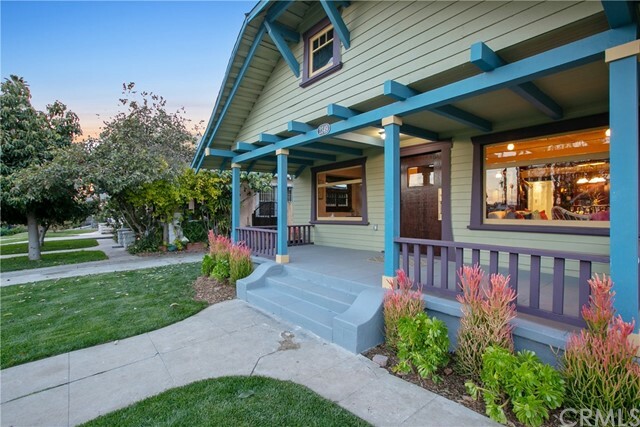 "Welcome to one of the most captivating craftsman homes. Its breathtaking workmanship makes this home a rare find. With original woodwork, stained-glass and restored fixtures, no modern-day remodel can replicate the authentic and original aspects that makes this home an incredible work of art. Maple wood cabinets and chevron marble adorn the enlarged kitchen designed to enhance the beauty found in the original details. With plenty of space to add a breakfast table or island, this chef s kitchen is a culinarian's dream. Counting at 3-bedrooms AND 3-bathrooms, you will not find anything like this on the market. The master suite includes a chic and luxurious added closet and bathroom with an impeccably preserved claw tub. Marble rather than tile was installed in all bathrooms to give your home a modern and elegant touch while keeping true to its artisanal character. A second and legal 1-bedroom, 1-bathroom guest house/ADU with its own electrical meter can be found at the rear of the property. This structure was completely reinforced with 24 inch footing. It is lined with maple cabinetry and an exquisite marble backsplash in the kitchen. The attic of this ADU is tall enough to accommodate an office, studio, or bedroom loft.This property has been designated as a contributor to the HPOZ and is eligible for a Mills Act contract. With its location on the desired side of the street, this property has no alley at its rear and is situated for capturing California s stunning sunsets." "A must-see property, Large home located just outside of Downtown L.A., in very quiet and nice area neighborhood. Very close to USC, near the 10 freeway and 110 Fwy, with its 2-story house with 3 bedrooms and 4 baths, downstairs, and 4 bedrooms 2 baths upstairs. High quality Hardwood floors, granite counter tops. Perfect for large family or live downstairs and rent rooms upstairs for USC students. Bring your buyers they won t be disappointed." "Back on the market with price adjustment! Motivated sellers!! Authentic craftsman style home built in 1915. 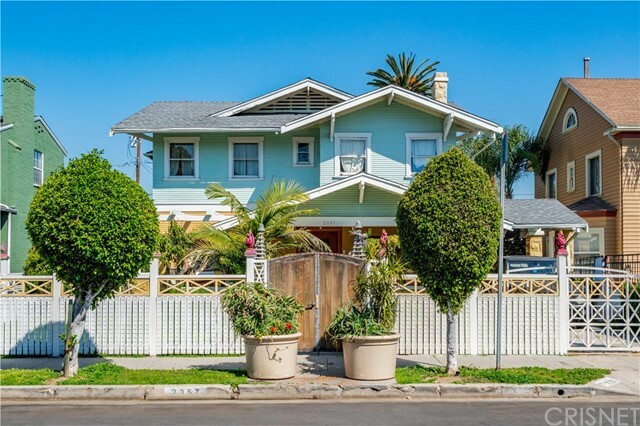 Located just north of the Santa Monica freeway in Historic West Adams, Western Heights HPOZ, an architecturally diverse enclave filled with custom built homes dating from the turn of the 20th century. Much of the architectural integrity remains intact making this home very charming and authentic. 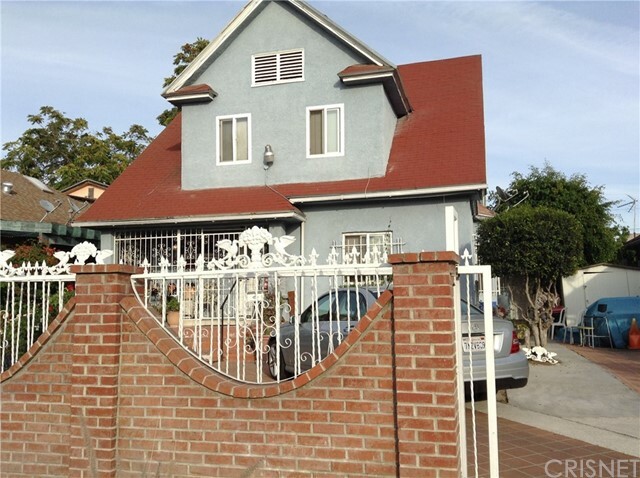 The two story, Single Family Home is conveniently located near DTLA, USC, and Koreatown. First floor consists of formal living area with fire place, formal dining area, kitchen with an island, and breakfast nook. There is also a den or family room being used as a fifth bedroom. Four bedrooms on the second floor. Hardwood flooring throughout. This home is for someone looking for a historical craftsman home with architectural integrity. Interior aesthetics would benefit from a little TLC. Property sits on a street that benefits from restricted traffic for local residents only. Spacious driveway for parking. Decent backyard space and garage in the back. Don t miss the opportunity to see this home!" "Design Lover's Spanish in Jefferson Park by BEAU CASA! This 3BR/2BA is perfectly sited on a corner lot in Jefferson Park, exquisitely remodeled and ready for its new owner! Step into a light + airy main level with open dining + bright kitchen, cozy living room, 1 bed + 1 bath. With chevron white oak floors throughout, plus tongue-in-groove siding detail on stairway wall + built-in reading nook, custom kitchen cabinetry w/Caesarstone countertops, floating shelves, ample island + SS appliances + modern lighting, no detail has been spared! At the top of the stairs, a play area, leading to a large master suite w/ large walk-in closet, en-suite bath, freestanding tub + tastefully curated tiles and chic dual vanity. A second upstairs bedroom offers views all the way to the Hol Sign. New Spanish tile clay roof, new foundation+framing, smooth stucco+fresh landscaping. New tankless water heater, electrical, HVAC, sewer line and plumbing, fresh landscaping + tandem garage." "Welcome to the exquisitely remodeled home in highly desirable Jefferson Park. The front yard adds warmth upon entry. Natural light floods through the dual pane windows into the open living space creating a light & airy atmosphere. A dining area leads to the stunning chef's kitchen with custom wood cabinets, quartz counters, new dishwasher, 6 burner stove, farmhouse sink, and wine rack. Kitchen island allows for extra seating and a separate desk area creates a workspace. The spacious master with walk- in closet gives privacy and convenience leading to the back yard. The master bath features a soaking tub, polished marble mosaic floors, glass accent wall, double vanity, and double shower head, making the bathroom feel spa-like and peaceful. Hall bath offers a double vanity, limestone floors and tub w/ shower. The expansive deck giving ample seating for relaxing. Generous backyard is perfect for BBqing, an herb garden, and entertaining. 2-car garage offers a perfect bonus room for comfort"
"Calling all cash investors, for this two story 5 bedrooms, plus an extra room with a closet that can be used as a 6th bedroom and two bathrooms. 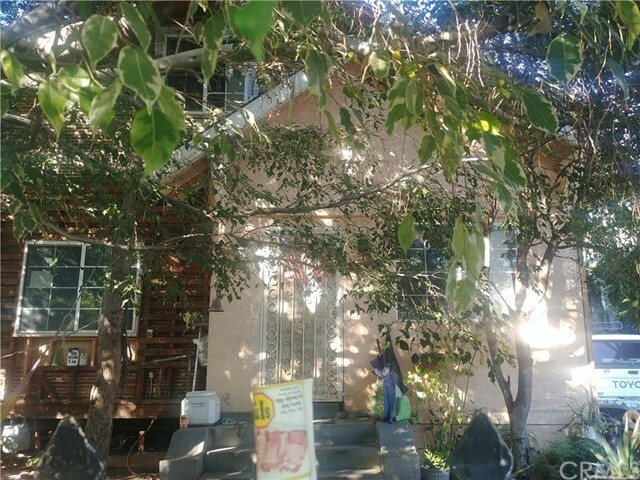 Builders check with city to see if this property may be a potential tear down to build units.This Victorian style home is in the Jefferson Park area, close to USC, down town Los Angeles and and the metro rail transportation system. Home needs everything updated and a complete rehabilitation to bring the home up to date to its original charm and is also on an R2 lot. First time on the market in 40 years. Drive by only and make offers subject to interior inspection." 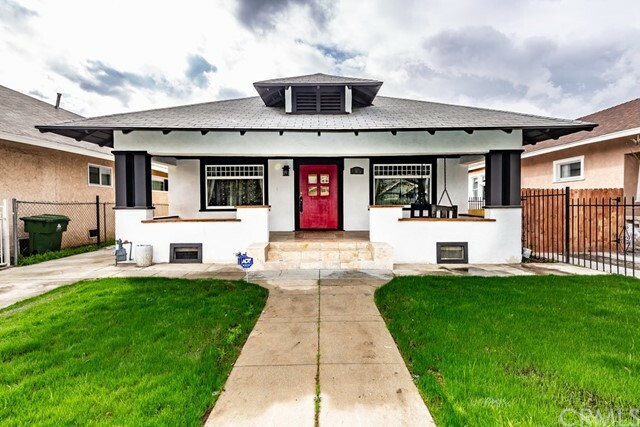 "Gorgeous single story home located in the prestigious Leimert Park neighborhood. The property is 1/2 mile from the Crenshaw/Expo rail line, which is a 2 minute drive or 11 minute walk away. Upon entering through custom wrought iron door, the home is fully upgraded with real hardwood floors, plantation shutters, dual pane replacement windows, granite counters, stainless steel appliances, crown, base moldings & ceiling inlays. The property has a formal living room with wood burning fireplace & a separate formal dining room. In addition, there is an extra permitted family room completed with wood beam vaulted ceiling & raised hearth fireplace. There is an enclosed interior laundry room which adds approximately another unpermitted 100 square feet to the property. Outside the home has fresh paint custom window trims meticulously maintained landscaping with RV parking accented with brick walkways detached 2 car garage & trex decking. Home has newer copper plumbing, central heat & electrical"
"Welcome home to this captivating Craftsman with endless original detail. Built in 1908, this breathtaking 3 bedroom 2 full bathroom as an interior laundry room. The kitchen has been completed with White Shaker Cabinets, Quartz countertops & new backsplash and stainless steel appliances. Both bathrooms have new tile walls to ceiling, new white shaker cabinets and quartz countertops. The flooring is wood laminate in living areas & hallways and wood base through out. The landscaping offers new grass, plants, and electronic irrigation systems. Enjoy craftsman home living with current new construction amenities." 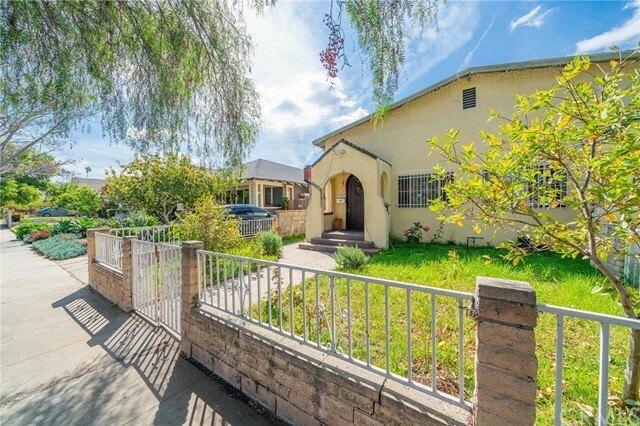 "Don't miss this charming home that is ideally located steps from the metro, blocks from the 10 FWY, minutes from USC and miles from downtown. This darling home boast large living room and bedrooms, 2 bathrooms, ample parking plus a 2 car garage and a backyard that is perfect to entertain or just escape from it all." "Wonderful opportunity to own this charming Spanish-style duplex in the booming historic neighborhood of Jefferson Park. White oak hardwood floors in living, dining, hallway, and bedrooms. Clean bright kitchen with white cabinetry, vinyl floors and inside laundry area. Bedrooms are located down a long hallway near a spacious bathroom with dual sinks. Ample parking along long driveway, large attic space, and concrete backyard. Short drive from the beach, DTLA, museums, and close proximity to the Metro Blue Line, USC, shopping and dining." "Jefferson Park HPOZ area. This single family home is NO CONTRIBUTING PROPERTY. Interior is remodeled, and extended 1 bedroom and 1 bathroom with permit that cam be entered through the main house or from outside of the house so it can be used as a separate unit. There is also a detached garage." "Income producing Property Located in The Central Southwest Los Angeles Community in close Proximity of the Los Angeles Coliseum , the Staples Center and the up and coming Rams and Chargers complex this Property is a Duplex consisting of a 3 and 2 bath main dwelling and a separate 1 Bedroom 1 bath unit"
"FAMILY TRUST AUCTION!!! 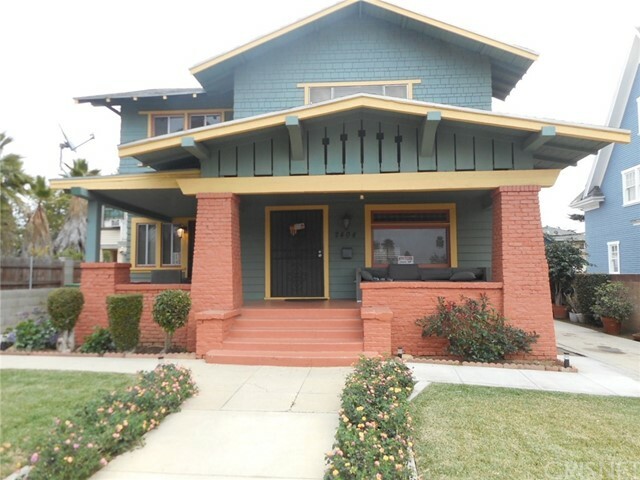 CRAFTSMAN STYLE, 2 STORY, 3 BEDROOM, 3 BATH ( & BATH MAY NOT BE PERMITTED) HOME ON A CUL DE SAC IN THE VERY DESIRABLE WEST ADAMS AREA OF LOS ANGELES. THE HOUSE FEATURES A LIVING ROOM WITH FIREPLACE & DINING ROOM WITH BUILT IN CABINETS. KITCHEN WITH DISHWASHER. SERVICE AREA WITH WASHER/DRYER HOOKUP. DEN. WOOD FLOORS. BONUS ROOM/OFFICE ON 2ND FLOOR. CENTRAL HEATING AND AIR CONDITIONING. OUTDOOR PATIO & BACKYARD." "This wonderful one-story home is located in desirable Jefferson Park. It has 3 Bedrooms and 2 bathrooms, a fireplace and covered patio off of the living room. It's perfect for entertaining and to enjoy your meals al-fresco. In the back there is a 2 car garage, with a Bonus room. This inviting home in the quiet Jefferson Park neighborhood is 30 minutes to sandy beaches, fine dining, DTLA, art and history museums, shopping. 15 minutes from the 10 and 110 frwys., USC and much more! Sellers are motivated, but only will entertain offers from the serious qualified potential buyer." "Good property in a desirable area, front yard and back yard in zip code 90018. needs some TLC. mostly residential owners, close to freeway Santa Monica 10, nice kitchen." "This is a Probate sale which needs Court Confirmation. Property being sold As-Is, in its present condition with no warranties expressed or implied. Title shows 2 bedrooms , but there are actually 3 bedrooms, 2 baths and a game/workout room attached. The property features a large backyard with a separate fenced off garden area and a detached 2 car garage. 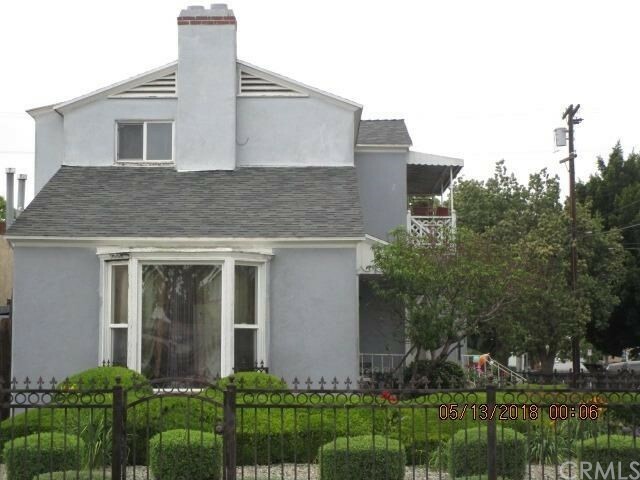 Great location; just east of Leimert Park and a few miles southwest of USC and Downtown Los Angeles. The property is located in close proximity to the Expo Line Train Station, which is less than 10 miles (15-20 minutes by train) from Santa Monica Beach/Pier, traveling westbound and even closer to the heart of Downtown Los Angeles/L.A. Live, traveling eastbound! The property is located near shopping, schools, freeways, public transportation, museums, entertainment, hospitals etc. Please respect occupants and do not disturb. Please email all offers (PPA only), Proof of Funds, Pre-Approvals and EMD (5% minimum)." "Calling All Craftsman Lovers!!! American Craftsman diamond in the rough. 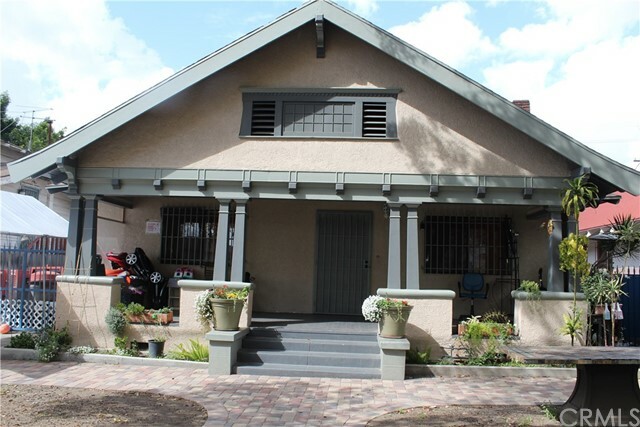 3 bedrooms, 1 1/2 baths home near Downtown L.A. & minutes from the Coliseum and USC! This home has so much potential and needs just a little elbow grease to be brought back to its old world charm of 1907. The property has an upstairs finished attic which host two additional bedrooms and a day room is a large day room and full bath. Buyer to verify all permits. Seller will NOT entertain any FHA or conventional financing. CASH ONLY. This is a probate sale that DOES REQUIRE court confirmation. SUBJECT TO OVER BID. The successful buyer will need a 10% deposit made payable to the estate. No warranties, guarantees or representations of any kind. Property will be sold as-is. Seller will not make any corrections or repairs." 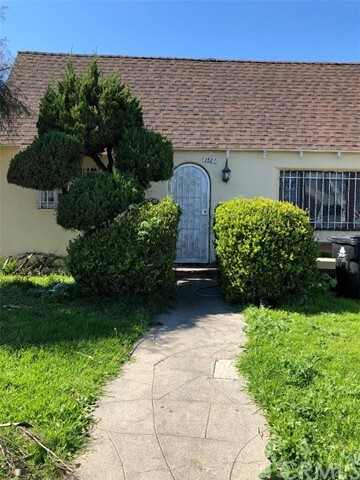 "This 2BD/1BA 1,232 sq.ft. Jefferson Park Craftsman-style bungalow with bonus room offers a mix of Craftsman charm with today's modern features. This home has a bright,open concept living/dining area with bamboo flooring. The updated kitchen contains brand new stainless steel appliances and quartz countertops. Both bedrooms have generous closet space, and the hallway and bathroom offer additional built-in storage. A spacious laundry room off of the kitchen has direct access to the lush backyard, a perfect place to invite your family and friends over for a BBQ. Additional upgrades to the house include a brand new water heater, updated windows throughout, new roof, and updated electrical. The R2 zoning offers you the future potential to expand and build a back house. Conveniently located near Starbucks, Food4Less, and minutes away from USC, museums, DTLA, public transportation, with easy access to the 110 & 10 freeways."